*Visiting Scholar at Stanford University; permanent address, Litton Systems, Inc., 5500 Canoga Avenue, Woodland Hills, California 91367. Laser oscillation in Nd:MgO:LiNbO3 has been demonstrated. Thresholds as low as 3.6 mW and slope efficiencies up to 39% were achieved in a resonantly pumped miniature device. 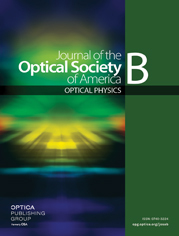 The electro-optical and nonlinear-optical properties of the host were also used to make active internal Q-switched and self-frequency-doubled lasers. Photorefractive damage is shown to be greatly suppressed compared with that for non-MgO-doped material. Absorption spectra, fluorescence spectra, and lifetime measurements are also reported.